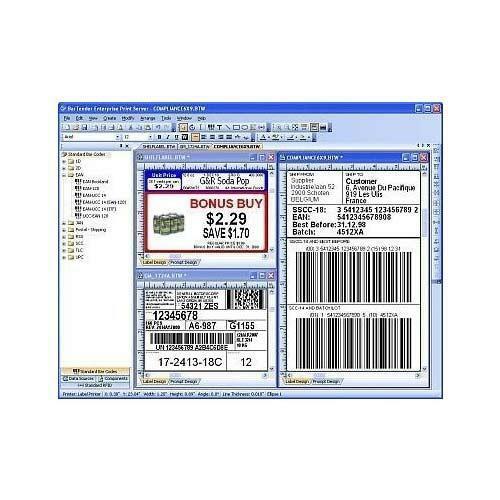 Being one of the leading names in the industry, we offer our clients Barcode Label Design Software. Our skilled and dedicated developers make genuine efforts in order to provide this software within specified set of time span. Our software is developed by our expert workers, who have in depth familiarity and rich skill in the respective domain. RSR Enterprises is the most prominent company that was incorporated in the year 2009 at Hyderabad, Telangana, India. We are eminent trader and supplier of Barcode Printers, Mobile Printers, Barcode Scanner, Mobile Computer, Thermal Paper Rolls, Paper Rolls, Receipt Printer, Printed Labels & many more. We also provide Thermal Ticket Printing Service & AMC Service. These products are highly durable, technically advance, smooth in functioning, fine in finishing, maintenance free, sturdy in construction and have various features. These products and services are offered at a reasonable price to our valuable customers.